Massiyahu Prison, Lida, Israel (20 November, 2008) – Three Human Rights Observers (HRO) with the International Solidarity Movement began a hunger strike today in protest over the illegal confiscation of Paestinian fishing boats by Israel. 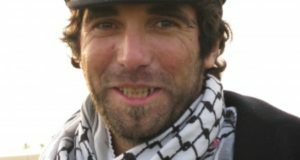 The three HROs, Darlene Wallach of the U.S., Vittorio Arrigoni of Italy, and Andrew Muncie of Scotland, were forcibly abducted by the Israeli Navy on Tuesday, while accompanying unarmed Palestinian fishermen off the coast of the Gaza Strip. Israel abducted and later released 15 Palestinian fishermen during the incident, and confiscated their fishing boats. The HROs are refusing to be deported, and refusing to eat, until the boats are returned– undamaged–to their rightful owners in Gaza. “We R on hunger strike and want 2 go before judge in court. No deportation til boats are returned 2 fishermen,” was the text message sent out from jail by the HROs this afternoon. However, the Oslo accords grant Palestinians the right to fish 20 miles off their own coast. When Andrew’s attorney handed a copy of that portion of the Oslo accords to the judge, she had no comment. 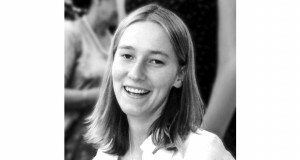 On August 23, 2008, Wallach, Muncie and Arrigoni were among 44 participants in the Free Gaza Movement who were aboard the first boats in forty-one years to enter Gaza by sea, breaking the Israeli blockade. They remained in Gaza to participate in human rights activities with the International Solidarity Movement. 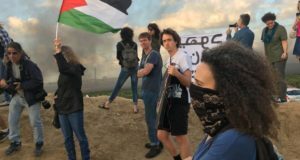 They have been living and working in Gaza since the summer, providing accompaniment to Palestinian farmers and fishermen, and documenting Israeli human rights abuses in the Gaza Strip.